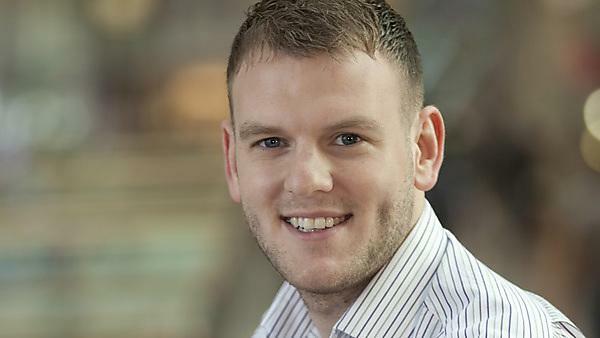 Alex graduated in Events Management in 2010 and set up his own events management company, Student Shopping UK. Following a real-life assignment in his final year Alex organised a student discount night at Drake Circus – Plymouth’s premiere shopping destination – Ludlam and his team smashed the centre’s records, attracting over 7,000 visitors. Several shops made more sales in two hours than they would in a day. "The Events Management course taught me a lot about the process of how an event works, from start to finish, and I also gained a lot of experience through running events. Looking at an event in depth is a big part of what I do now, especially as I run a new business, which is something I learnt a lot about during the course. I actually started running my company, Student Shopping UK, out of an event which was a requirement of my degree. If I hadn’t chosen that specific module, I wouldn’t have had the idea for my company. We ran the event at Drake’s Circus, which was a great success, and it was this that spurred me on to run this event across the country. I would never have been able to do what I do now, had I not studied Events Management. My lecturers were very supportive when I went to them with my business idea. They were an excellent ‘sounding board’ and really helped me kick-start my business, giving me the confidence to develop my ideas. I worked for a company called England’s Barmy Army- the England Cricket team supporters group. I spent the year organising events for them and helping out with their PR, watching cricket matches across the world. I came across the company and contacted them and luckily, the MD for the company was in Plymouth a couple of weeks later. I managed to organise a meeting with him and was able to secure my placement, where I spent a month in the West Indies. As it was for a small company my placement gave me a lot of responsibility, and I was able to learn a lot about PR and marketing, through organising varied events and dealing with the media. During test matches there were times I had to manage the office alone, which was a steep learning curve but great learning nonetheless. Working in events management means that you need the industry experience to back up your qualifications, and being involved with organising events during my studies was such a big part of my success. I would absolutely recommend taking a placement year. You get to see how things work in practice and also how your individual work affects the company. If I had to give students one piece of advice, it would be to throw yourself into it; everything I learnt on my placement year has helped me run my own business, from running an office and working with spread sheets, to invoicing and organisation."